The Screaming O has reported that its new Vooom Bullets have reached 20,000 units sold since its January debut. In less than two months, these low-pitch mini vibes have outsold every other new release in the company’s 11-year history. Vooom Bullets are equipped with a low-pitch motor that hums at a frequency unlike other mini vibes on the market, providing a deep, rumbling vibration. The result is a different sensation that reduces the risk of desensitization from higher-frequency buzzy vibes and a more satisfying experience. 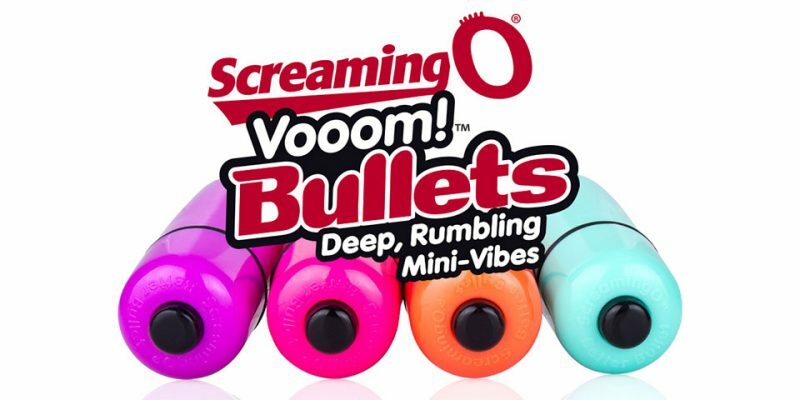 Vooom Bullets are made of lab-tested, 100% body-safe ABS plastic and encased in a 100% waterproof shell, making it easy to enjoy rumbling vibration in the bath or shower.